This film is both extremely personal and extremely universal. 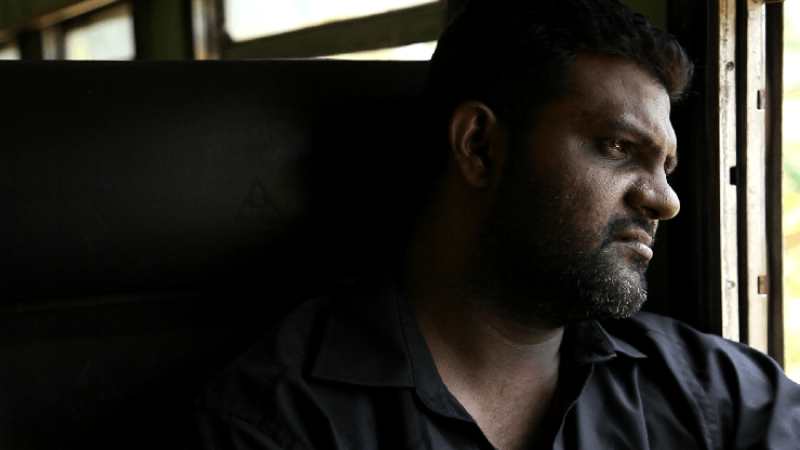 Personal because Canada-based Tamil-born documentarist Jude Ratnam travels back to his homeland Sri Lanka, which he fled decades earlier as a refugee, and opens up profound wounds of the past. And universal because it’s borderline impossible not to relate to his tragic personal history. Demons in Paradise explores the Civil War between the dominant Sinhalese and the abject Tamil, which has ravaged the country since its independence from the UK. The demons in the title are the ghosts of an irresponsible handover from the British colonisers to the Sinhalese in 1948, the director clarifies very early on in the movie. This conflict remains largely unknown or ignored in the West, making this documentary an extremely urgent denunciation tool and piece of filmmaking. One of the most powerful moments in the movie is the emotional moment when director encounters the family who hid his family from the Sinhalese oppressors, who would undoubtedly had killed them. Later on in the movie, the director breaks down as he recalls two friends who sheltered him but never survived the conflict. He also remembers how he had to disguise himself as farmer in order to flee the country, and how speaking Tamil could lead to immediate death. The linguistic oppression might ring some bells in Europe, particularly to Spanish people who experienced the Franco regime. Sadly Jude Ratnam’s experience is less foreign than we’d like to think. The banal cruelty of the Sinhalese would make an excellent case study for Hannah Arendt. They would pierce Tamil militants in the eyes, burn their back with a hot iron, throw them off fast-moving trains, shoot them through the head (in a practice nicknamed “crown of flowers”) and burn children alive inside tires doused in petrol. The director wraps up the film by noting that the Civil War may be over, but the latent hatred and fear are not. He believes that the problems haven’t been solved, and therefore the conflict could resume at any moment. This is not the only film this year to expose the consequences of cynical and careless British imperialism in Asia. Gurinder Chadha’s Viceroy’s House dealt with the issue in neighbouring India. Demons in Paradise is showing as part of the 70th Cannes International Film Festival. The movie is a special screening, and it’s not in the official competition. The importance of the film should not be understated: this is the first Sri Lankan film ever to show in the Festival.